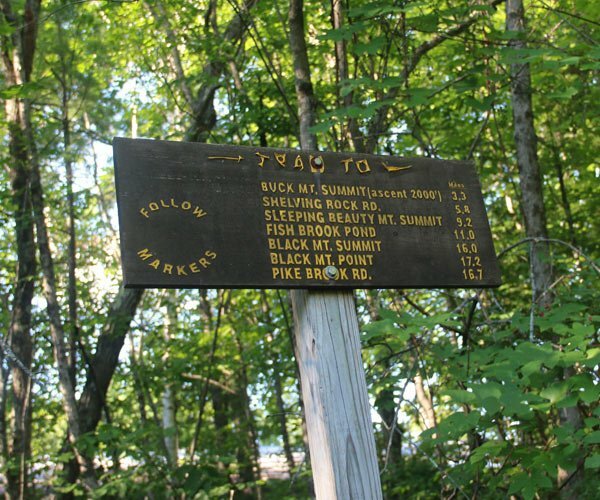 Hiking in the Adirondacks is a favorite activity of residents and visitors alike. There are countless trails and mountains to discover throughout the 6-million-acre Adirondack Park. Hikes vary from short and easy to steep and strenuous. Included here is a variety of hiking content, from lists of mountains and different types of hikes to safety tips and stunning photos. Browse through the features, and plan your next hike today! New to hiking in the Adirondacks? Find some great beginner hikes, tips on what to bring, and more in our beginner's guide! 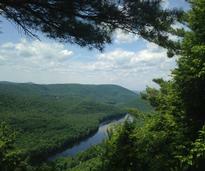 The High Peaks region of the Adirondacks is a haven for hiking enthusiasts. 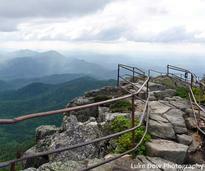 Discover more about the 46 High Peaks, including difficulty, summit height, hike time and more. Make a name for yourself! 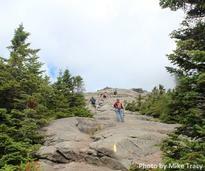 Read up on these Adirondack hiking challenges and get ready to push yourself to the limit. Many trails welcome dogs; after all, it is the wilderness! 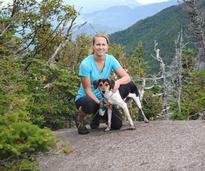 Check out this guide for tips on hiking with your dog and a list of doggy hikes. 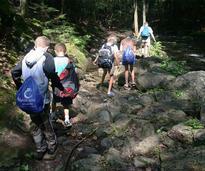 See our list of kid friendly hikes. Then, read our guide to making your family's hike memorable! 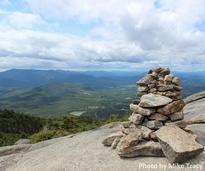 Adirondack hiking enthusiasts from all over share their favorite hikes! Then hike on over to our Facebook page for updates, news, and more. If you're looking to bag multiple peaks in one day, check out these pairings that can be done without an overnight stay. View an extensive list of hikes in the Adirondacks, and sort by region to discover hikes that are right for you! While you prepare for your hike, it is important that you remember to keep yourself and your family safe. Read up on safety tips for before and during your hike. 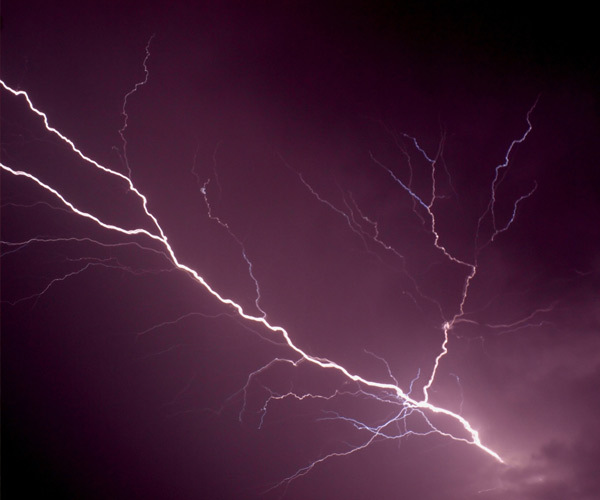 Even if you plan ahead and check the weather right before you leave for a hike, it is possible that a storm could pop up. 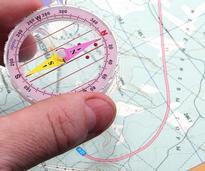 Learn how to protect yourself while you're on the trail. 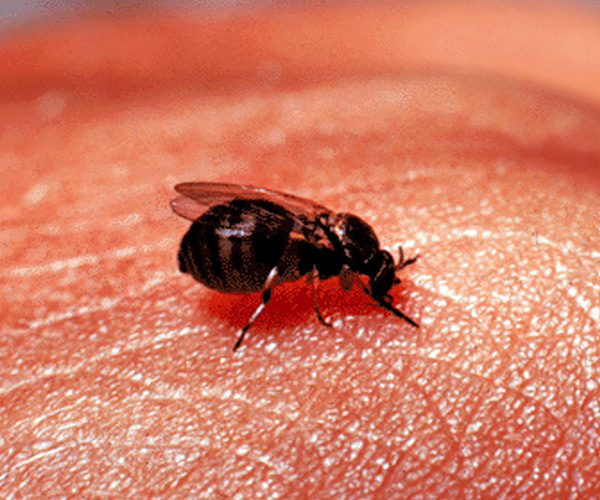 Learn how about "black fly season" - one of the most pesky seasons in the Adirondacks - and learn how to protect yourself and treat bites. 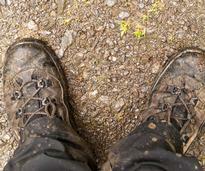 Spring is mud season& in the ADKs. Take special precautions to protect yourself and the environment when you go hiking this time of year. Looking to see some amazing waterfalls while you're out hiking in the Adirondacks? Check out 11 epic waterfalls to add to your bucket list! 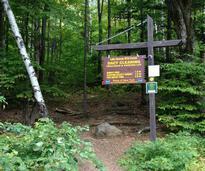 If you like to run and stay active, then you should go trail running in the Adirondacks. 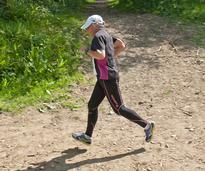 Learn about the basics of trail running and pick a great trail for your next trip in the woods. 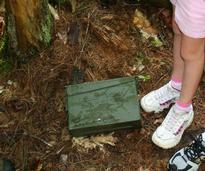 The worldwide treasure hunt known as geocaching is one of the most popular activities in the Adirondacks. Getting started is easy because geocaches are almost everywhere! 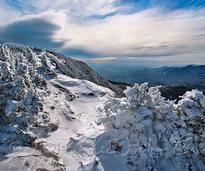 These photos showcase mountain summits with possibly the 10 best views in the Adirondacks. See them for yourself! 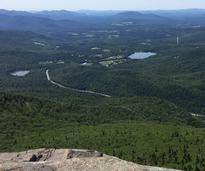 Hiking in the ADKs gives me so many great feelings that I have trouble putting them into words. Instead, I decided to put them into pictures! 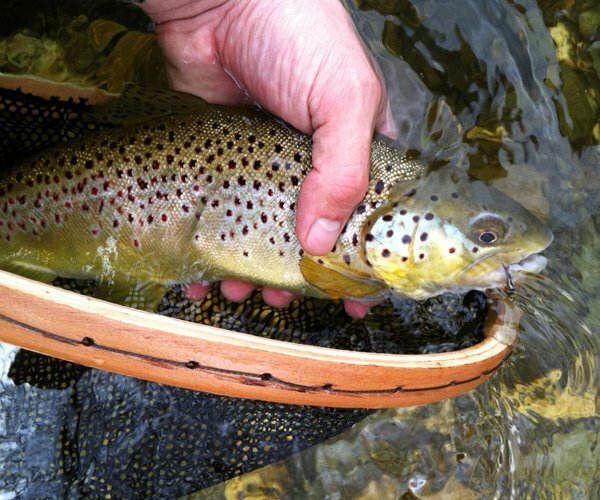 See our guides page for information on paddling, rafting, and sporting. Plus, learn the best places to spot local wildlife, and be on the lookout for invasive species and harmful plants.